This is an invitation to pastel artists to vote for their favourite brand of pastels in 2011. You can find two BRAND NEW 2011 Opinion Polls about artists' grade pastels for 2011 on Pastels - Resources for Artists. 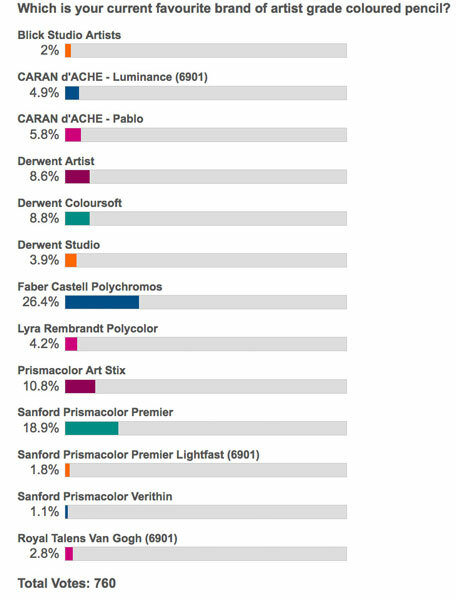 Artists have already started to vote - see 2011 Poll: Which is your favourite make of soft pastels? This poll focuses on artist grade soft pastels which are available at the beginning of January 2011. This is the second of my annual polls and the third poll I've run which has sked this question. See the end for links to previous polls. 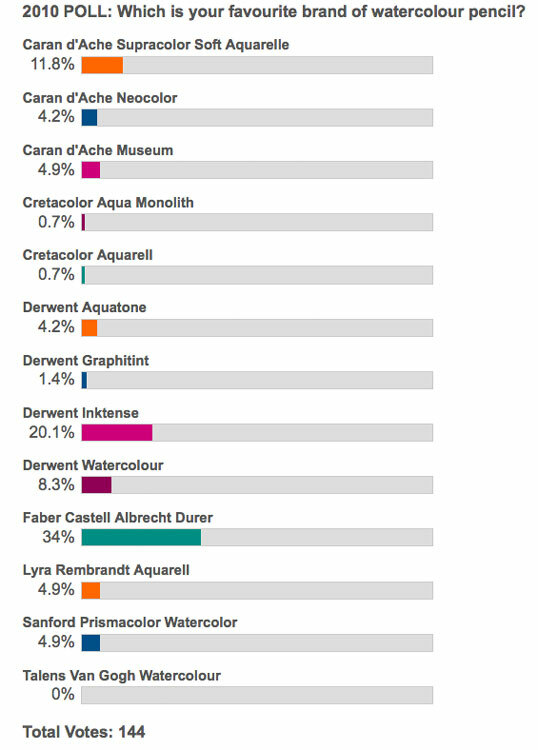 My resources for pastel artists site also has a second poll on hard pastels further down - see 2011 POLL: Which is your favourite make of hard pastel? This includes some additional brands compared to the poll I ran last year. All past votes which applied to choices available in the past no longer apply. You can now vote again. Don't forget to check all the options before you vote. The pastels are listed in alphabetical order. The Annual Poll can also provide feedback to the manufacturers about preferences which will hopefully provide an some incentive to continue with a good selection in the marketplace and products which continue to improve in both quality and lightfastness over time. If any of the marketing people from the different pastel manufacturers are reading this and note that their new brands in the pipeline are NOT included please contact me with the date your product is due to be in the marketplace AND on your website. 2010 POLL: Which is your favourite make of hard pastel? on Pastels - Resources for Artists. 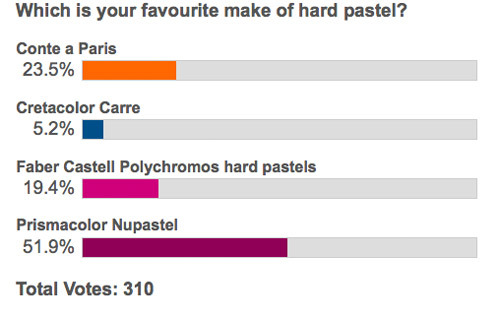 310 people voted in the 2010 Poll: What is your favourite make of hard pastels? 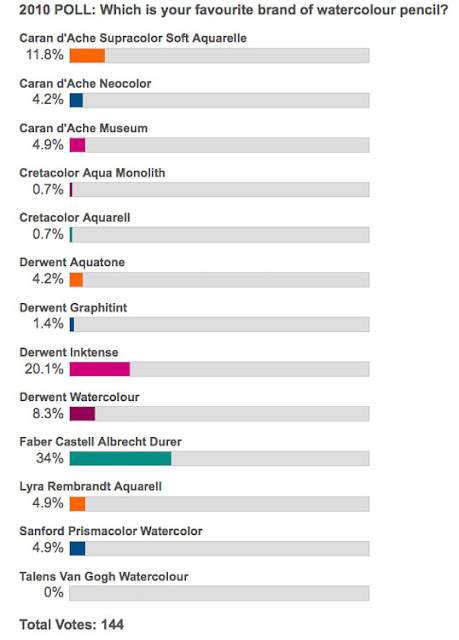 This poll shows which particular make of artist grade hard pastels was most liked by most pastel artists in 2010. 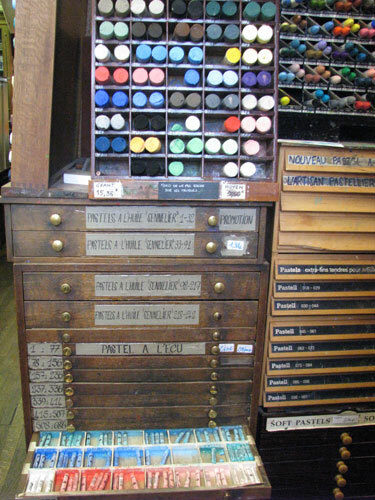 The pastels included were artist grade hard pastels available in 2010. Some may be listed as soft - but in terms of the gradations of pastels overall - these are all the ones up at the harder end of the spectrum. All pastels were listed in alphabetical order. If you've got a Mac, there's a rather good offer in the new Apps store for Macs which succeeded in generating over a million downloads in one day last week. I'm interested in apps for artists so have been investigating what's available in the Apps stores for the iPad and as of last week the new Mac Apps store. I've decided to try Sketchbook Pro by Autodesk. I started by buying Sketchbook Pro for my ipad via iTunes which cost me the grand sum of £4.99 ($7.99). For this all I need is a finger! Sketchbook Pro is available on the new Mac Apps store at an introductory price for a limited period only. It costs $29.99 (which is just under £20). To download SketchBook Pro from the Mac App Store, you need a Mac with Mac OS X 10.6.6 or later. Learn More. I doubt I've ever had a bit of software load so fast and in such an accessible way. I clicked the link to buy and it zipped across the screen and into the dock! ***Introductory Price! Limited-time only*** Autodesk SketchBook® Pro for Mac is a professional-grade paint and drawing application. Using the same paint engine as its mobile counterpart, SketchBook Pro delivers a complete set of sketching & painting tools through a streamlined and intuitive user interface. If I was buying via Amazon the software would be Autodesk Sketchbook Pro 2011 (PC/Mac) and it would cost £88.33. I'm assuming the latest version is available at full price and that the Mac versionis maybe not be the latest whizzbang model? SketchBook Pro is, essentially, your virtual sketchbook. Designed specifically for pen-based interaction, transform your desktop computer, laptop, or Tablet PC into a digital sketch pad. The intuitive interface makes it easy to access a host of tools and state-of-the-art features, including pencils, markers, brushes, colors, guides, layers and blending effects. Now all I have to do is work out how to use this! The iMac version really needs a digital tablet and pen - however I got started by using my mouse. 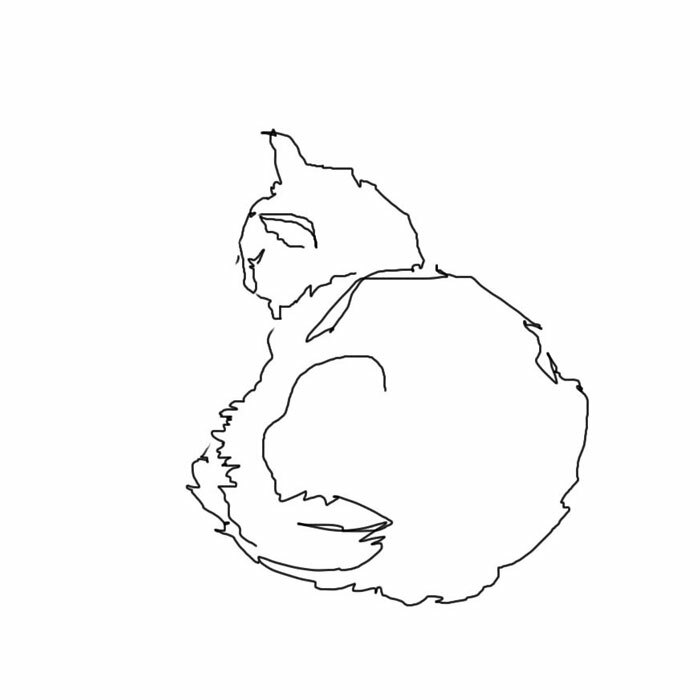 Hence the drawing of my cat Cosmo at the top of this post. 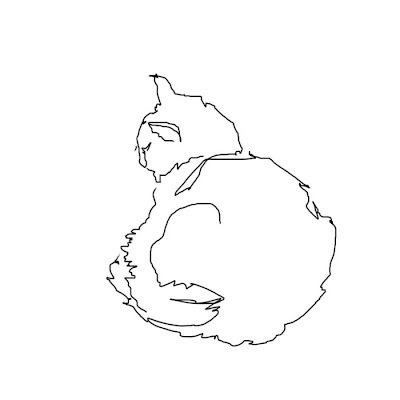 Drawn using the pencil in 2B mode. I've been titivating about digital tablets for quite some time so this is partly about me getting my head around on what make to get and what size to get. Any suggestions re digital tablets are most welcome! I'll be back with a review of Apps for artists in the future when I've played around some more. Which is your favourite brand of soft pastels? Below I detail what are the results of my opinion poll which asked this question in a year long poll held in 2010. The NEW 2010 Soft Pastels Opinion Poll - which announced a new survey. 2010 Poll: What is your favourite make of soft pastels? I can now tell you that a total of 361 people voted in the 2010 Poll: What is your favourite make of soft pastels? on Pastels - Resources for Artists. You can see the results on the right. Just in case anybody thinks there is any sort of European bias going on here, both this blog and my pastel resources site get most of their vissitors from the USA! This means it's the samw top five - just a slightly different order. Unison retains its top spot and has apparently increased its market share over other pastel brands (in terms of expressed preferences) through an increase from 19.6% to 21.9%. Unison produce a really great range of highly pigmented sets of Soft Pastels in colour values which are completely addictive. Recently Unison topped a poll to find artists' favourite brand of soft pastels. 2011 POLL: Which is the best brand of artist grade coloured pencil? 2011 POLL: What's your favourite watercolour pencil? wholly independent of each manufacturer. on a site which gets very significant year-round traffic from people wanting to find our more about coloured pencils and how to use them for art. 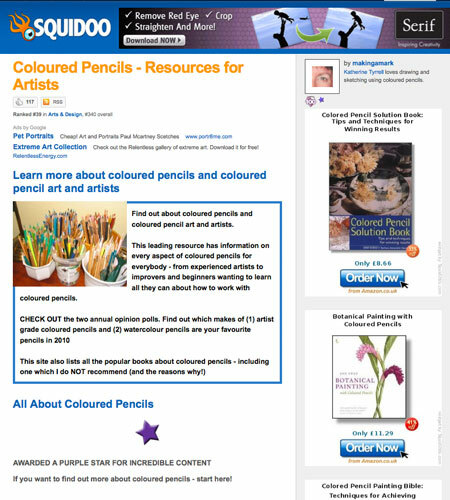 My main information site - Coloured Pencils - Resources for Artists is very popular with coloured pencil artists who know that new links to reputable information are being added all the time. If you know of a site which you think ought to be linked to from my site please contact me - on this site or the resources for artists site - and let me know what it is and why it ought to be included. 2010: Which is your favourite brand of watercolour pencil? In 2010 I introduced a new Opinion Poll to determine the best brand of Watercolour Pencil on the market at the beginning of 2010. 144 people voted during 2010 in the 2010 POLL: Which is the best watercolour pencil? on Coloured Pencils - Resources for Artist to determine the best brand of watercolour pencil. Faber Castell's Albrecht Durer is the pencil of choice with 34% of respondents choosing this pencil over the next most popular pencil the Derwent Inktense (20%). This means that Faber Castell - by focusing on a single pencil for both artist grade and watercolour pencils - has won both both polls. However while Faber Castell tends to offer just one brand of pencils, Derwent manufacture a range. Derwent tied with Faber Castell for the manufacturer producing the most popular watercolour media in pencil form. Each attracted 34% of respondents choosing their brand of watersoluble media. (see the table below which totals the results by manufacturer). Essentially the marketplace for watercolour pencils is a three horse race with Caran d'Ache putting in a very respecetable showing in 3rd place with over 20% of market share. The results also indicate that wood pencils are more popular than woodless pencils. There is a tie for the most popular woodless pencil between the Cretacolor Aqua Monolith and the Derwent Aquatone - both of which had 4.2@ of the vote. The most noticeable result of the Poll is how much more popular artist grade pencils are over the watercolour versions. I wonder if this is because it's possible to dilute all artist grade pencils using solvent? 760 people voted during 2010 in the 2010 POLL: Which is the best brand of artist grade coloured pencil? to determine which is the best brand of artist grade coloured pencil? on Coloured Pencils - Resources for Artist. Which is your current favourite brand of artist grade coloured pencil? Most of the percentage changes are minor apart from those relating to the smaller brands. Caran d'Ache Luminance (6901) appear to have succeeded in capturing significant market share where previous brands of lightfast pencils to the ASTM 6901 standard have not. This is despite being the most expensive coloured pencil on the planet! Do let me know what you think by leaving a comment below. 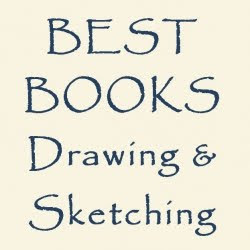 and reviews of art products and art books in 2011. You can find a subscription link near the top of the side column.